Vita Green Group is a company that produces and markets health supplements and medical devices in Asia, Europe and the Americas. Established 23 years ago, founded by two medical doctors. Vita Green is already a household name in Hong Kong and parts of Europe. Vita Green is dedicated to bring health, youth and joy to all. To accomplish this, Vita Green has developed modern nutraceuticals of high quality, safety and reliability that enable modern urban residents to improve their health. 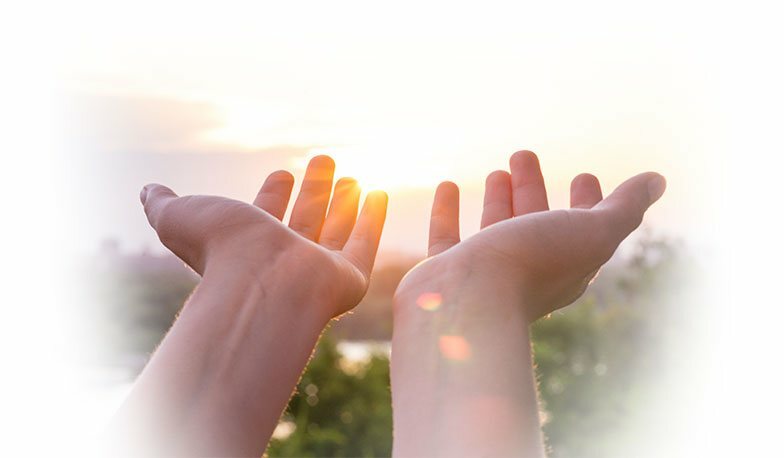 Vita Green specializes in extracting health treasures based on the essence of herbs and traditional Chinese medicine, and manufacture them to the highest Western pharmaceutical standards with the help of sophisticated modern technology. In addition, Vita Green also offers a series of premium vitamins and western health supplements imported from the U.S., the “Doctor’s Choice” vitamin series. This diversified product mix not only caters to needs of consumers of different genders and ages to create a healthy and perfect life for you and your family, but also helps prevent illnesses, bestowing you the power to grasp in your hands, your health and that of your loved ones. Today, Vita Green has over 550 staffs, 3 GMP certified pharmaceutical factories, 6 overseas offices, over 60 specialty shops and consignment counters all over Hong Kong and Macau. Vita Green owns tens of original brands and more than 150 products that sell across Asia, Europe and the U.S.
Vita Green is recognized as the most reputable and assuring brand in the minds of the Hong Kong population, as well as being the market leader in Hong Kong. Vita Green is synonymous with premium quality and has been awarded with numerous awards, such as “Supreme Brands”, “Hong Kong Top Brand”, and “Reader’s Digest Trusted Brand Platinum and Gold Awards”. All these awards are based on appraisal by professional judges and the general public, hence demonstrating the position of Vita Green among consumers and professionals. Vita Green Lingzhi, our first product and still the most popular in the Vita Green portfolio, is a No.1 bestseller in Hong Kong consecutively in the past 14 years. In addition to Vita Green being named “Hong Kong Top Brand”, seven of our star products: Vita Green Lingzhi, Vita Hair and Vita Hair Tonic, GE Yunzhi, Vita Calm, Herba Precious and Vita Yin Yang have been awarded “Hong Kong Top Brand”, evidence that the Vita Green Brand is deeply trusted by the general public. Further, The Doctor’s Choice vitamin and supplement series has won the Trusted Brand Platinum and Gold Awards (Health Products) from Reader’s Digest for 12 consecutive years. Whether it is health, beauty or joy that you desire, you could always find the right product for you in the Vita Green series. 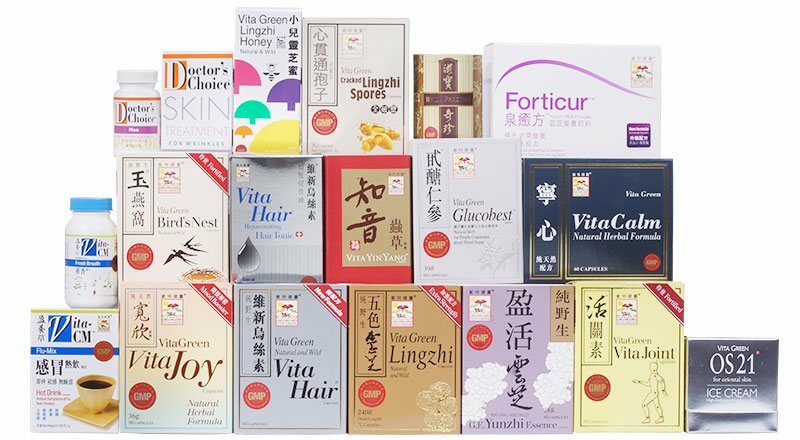 The premium Vita Green TCM series include Vita Green Lingzhi, Haircare series Vita Hair, immune booster Vita Green Yunzhi, Vita Green Yin Yang, sleep aid Vita Calm, ear health product Herba Precious, mood elevator Vita Joy, pancreatic supporter Glucobest, eye supplement ISee and uric acid product Uricsil. The Doctor’s Choice vitamins and supplements series introduced to Hong Kong 20 years ago has proven to be very popular among the more westernized population providing a wide range of products for consumers to choose. In 2015, Doctor’s Choice has been awarded Gold & Platinum “The Trusted Brand” by Reader’s Digest consecutively for 12 years. Vita Green has been awarded the very prestigious “HKBA Award in the owner category” organized by SCMP. 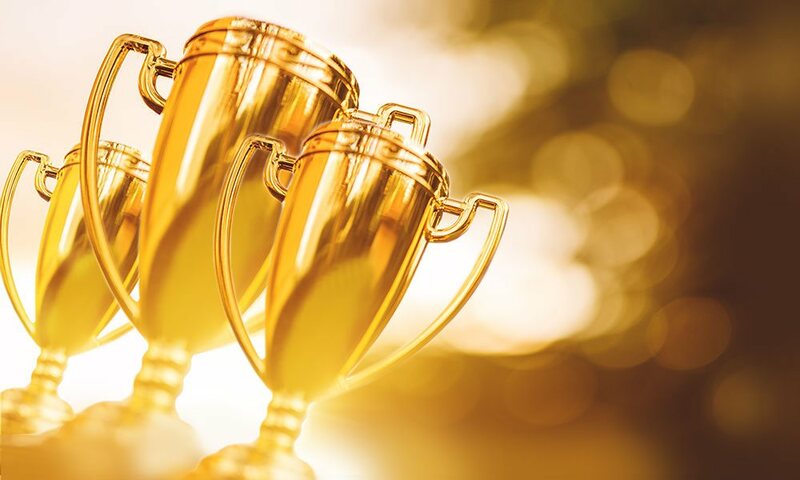 That Vita Green has accumulated so many awards over the years is a remarkable achievement and a firm recognition that Vita Green is truly a Trusted Brand! All raw ingredients of TCM Vita Green health products are either natural herbs or wild Chinese herbs harvested from their natural habitats in China. In order to maintain the best quality, the collected herbs are first tested for identity and quality then and cleansed prepared by our Guangxi factory, before being concentrated into powder which is then transferred to our factory in Hong Kong, Vita Green Pharmaceutical (H.K.) Limited, in Ap Lei Chau and Tai Po, for further processing, encapsulation and packaging. Final products are checked internally and sent to independent laboratories to ensure safety and quality. Our factories are GMP. All areas in the factory are monitored by computerised systems 24 hours a day to ensure that the environment is immaculately clean, protecting our products from contamination by impurities. A specially designed air-conditioning system keeps the atmosphere stable and clean, maintaining constant air temperature, humidity and purity, and keeping the airflow inside the production chambers unidirectional to avoid cross contamination between different batches of herbs. All air duct systems have separate filters and every corner is sealed with aluminium plates in order to keep the manufacturing environment free from dust, bacteria and contamination. More importantly, we attach great importance to talent management and training. At the three factories, the manufacturing process is kept precise under the control of a number of professional pharmacists. Vita Green is meticulous about the quality of every product. All capsules are imported from reputable international GMP suppliers. Even small details like the solubility and hardness of each capsule come under the scrutiny of our quality control team. As our quality inspection team and manufacturing team work independently under GMP requirements, best product quality is guaranteed. Vita Green believes that only best products improve health. Best products must be produced by adhering strictly to the highest standards in every detail from research, material selection, production and quality control. Our factories in Hong Kong and Guangxi are both GMP (Good Manufacturing Practice) certified, meaning that the whole manufacturing process is carried out under rigorous control, and finished products meet the highest standards. Our GMP certificates are reviewed annually by the Department of Health of Hong Kong and SFDA of China to maintain strict standards, allowing us to offer products of consistently high quality, year after year. 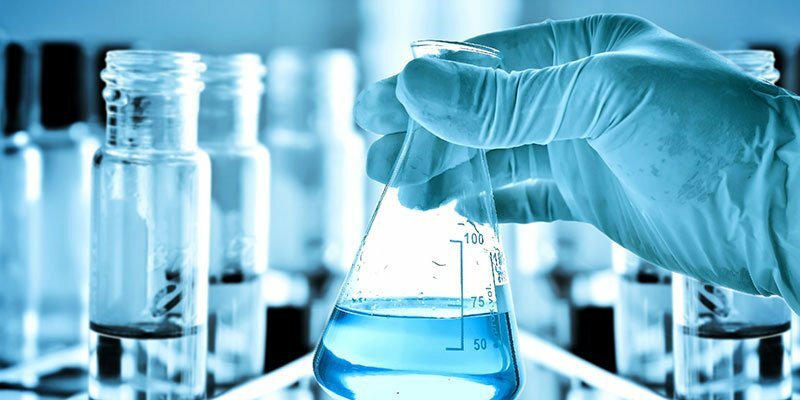 Together to develop a new product, the research team conducts research on new and existing products by the group four to ten years of research are often required, before launching, animal toxicity tests and human clinical trials are routinely carried out to ascertain the efficacy and safety of our products. Often, new indications of existing products are also being investigated by the group. WE ASPIRE TO BE THE BEST! In the past twenty years, Vita Green has grown from a local to a multinational company; from two products to a hundred fifty products, and from a few customers to millions of customers. With a solid foundation, we aspire to grow! We aspire to develop more products, more manufacturing capacity and more markets; until we could deliver health, youth and joy to people in every corner of the world! With the growth of the company and the requirement from the government. 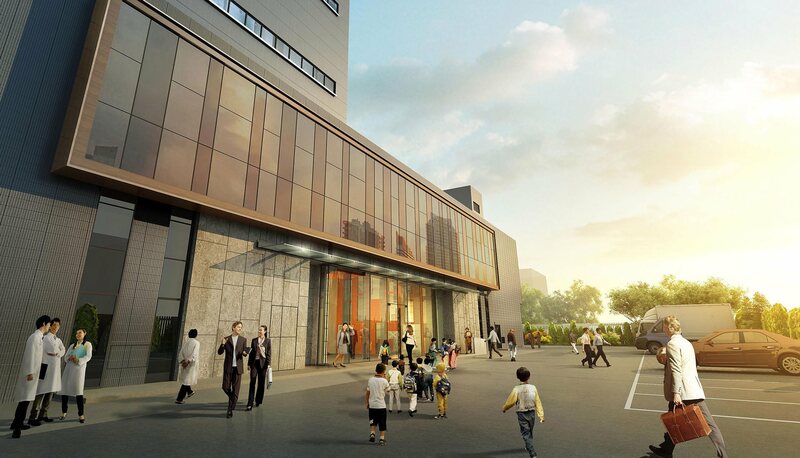 The Taipo manufacturing plant is now completed in Hong Kong. It is a state of the art factory that meets the PICs standard of GMP. The production of this facility is up to ten times that of the existing one in Ap Lei Chau, making the Vita Green plant the biggest manufacturer of PICS GMP health supplements in Hong Kong. | © 2018 Vita Green Health Products Co Ltd. All Right Reserved.